Heat oven to 350°F. Season pork with seasoning, meat rub, or salt and pepper. In 10- or 12-inch skillet, heat oil over medium heat. Sear pork on all sides 10 to 15 minutes, turning pork on each side to create even brown exterior. Remove from heat. Transfer pork to plate; let rest. 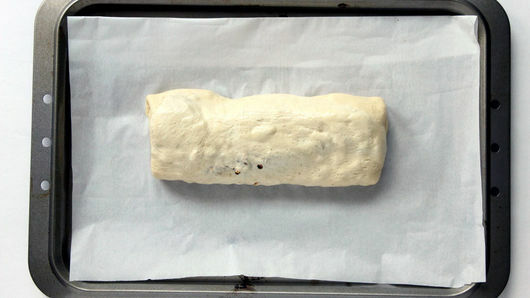 Unroll dough sheet onto work surface. Place pork in center of sheet. Add corn to side of pork. 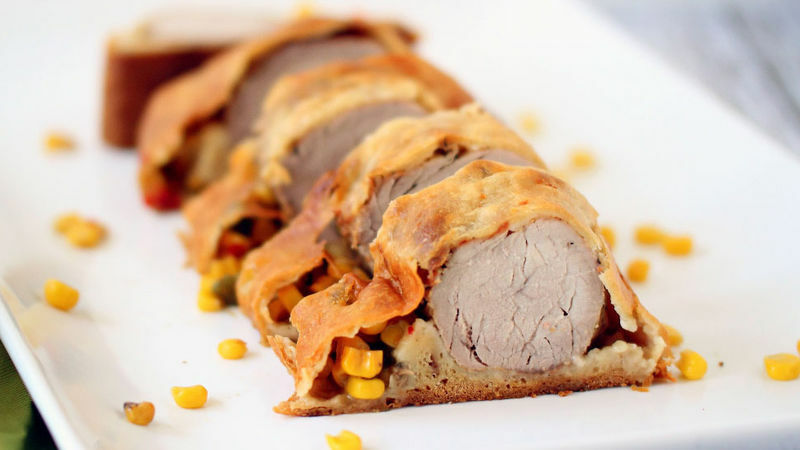 Carefully fold in each end of dough to cover ends of pork. 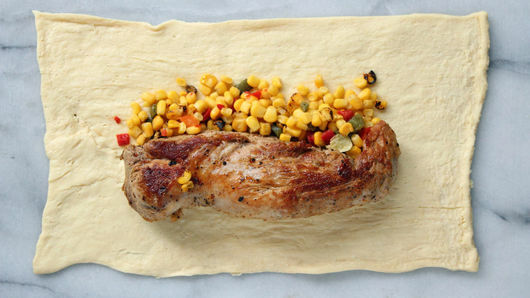 Roll pork and dough burrito-style, keeping dough nice and tight over pork. Place on ungreased cookie sheet. Bake 30 minutes. After 30 minutes, place tent of foil loosely over pork; bake 25 minutes longer. Cut into slices; serve immediately. Dust your work surface lightly with flour to prevent the dough from ripping or sticking. Reheat any leftovers in the oven at 350°F for about 10 minutes.